How can an individual outside the oil and gas industry invest in exploration and production activities? There are two basic options for investing in oil and gas exploration and production – indirectly and directly. Indirect investments such as corporate stocks, Master Limited Partnerships (MLPs), and energy-related mutual funds are liquid investments made in a publically traded company or a group of companies where you share in market-related growth potential. While this option provides many advantages, and carries its own unique risk-to-reward profile, it does not allow the investor to directly benefit from newly established production on a per barrel, or BOE, basis. Investing directly with Aresco allows you to be a part of a standard oil and gas industry joint venture. You can participate directly in all aspects of owning a stake in the revenues potentially generated from an oil and/or gas well. This of course carries a different risk-to-reward profile when compared to market-based investments, but generally allows the investor the potential for much higher returns as well as excellent tax benefits afforded to companies and individuals who directly invest in the oil patch. Deciding what type of investment may work for you will generally depend on your tolerance for risk, available capital to invest and your goals for making an investment (income, growth, and/or tax write offs). What are the risks associated with investing in oil and gas? 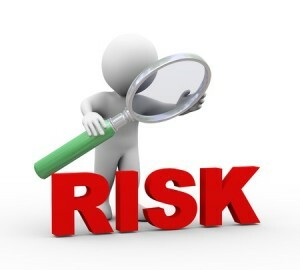 There are varying degrees of risk in all investments, including partial or complete loss of capital. This can occur with just about any investment these days. Direct oil and gas investments are no different. Dry holes are very much a part of the industry and even the biggest and most experienced companies are not immune. All Operators have an individualized approach and tolerance to taking exploration risks. At Aresco, we are not out to prove anything by taking on undue risk to be a part of groundbreaking trends. We focus on proven areas with strong production history to ensure we help reduce our risks. When participating with us, each opportunity will have an accompanying Confidential Information Memorandum that will include a detailed discussion of the general and specific risks involved with direct investing in oil and gas. Please see the Confidential Investment Memorandum for a detailed discussion of the specific risks involved with direct investing in Oil and Gas. The multiple tax benefits available to investors shows how strongly the U.S. government feels about promoting domestic oil and gas exploration and production. 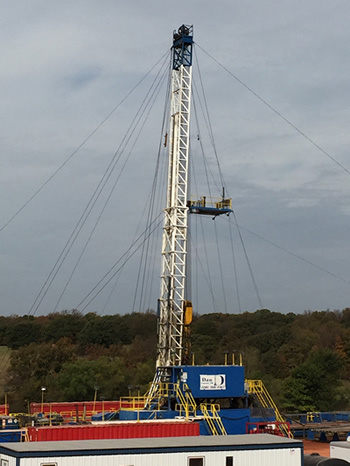 An investment into a drilling program will result in favorable tax benefits no matter the outcome. In the event of a dry hole, a write off is generally allowed for the entire amount invested for the tax year the investment was made. While taking a complete loss and receiving a deduction is not surprising to many, the benefits available to an investor on an active well are even better and provide three separate deduction avenues. Intangible Drilling Costs (IDCs): Typically, investors will be able to write off approximately 70-85% of their initial investment the first year through this deduction. Tangible Drilling Costs (TDCs): These costs, or the remainder after IDCs are deducted, are generally 100% deductible, but must be depreciated over a seven year period. 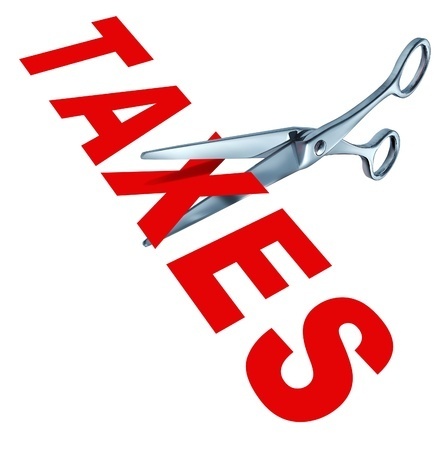 Small Producers Exemption: This deduction is also referred to as a ‘Depletion Allowance’ and allows you to earn 15% of the gross income from the investment tax-free. When would I begin to see a return on an active producer? Once a well begins producing, the first revenue check is generally distributed within 30-60 days depending on when production began in relation to the sale cycle for oil and gas in the area. This milestone is highly significant to oil companies and investors alike because it marks the beginning of achieving an ‘initial payout’ of the original capital invested. Many companies marketing to investors sell returns in as little as six to nine months. While this does happen, it doesn’t happen often enough for those of us in the O&G industry to regard it as a benchmark. On a well with good longevity potential, achieving an initial cash-on-cash payout in 18-24 months is considered excellent. Should I invest in just one well? Direct investments in oil and gas exploration and production is a long-term investment strategy that, like most other long-term investments, benefits from diversification. Diversification spreads your risk, increases your overall chance of success, and can also complement your investment and tax strategies by providing significant tax deductions no matter the outcome of the project. While some may choose to invest in a single project in an effort to give oil & gas exploration a try, we suggest you invest like an E&P company––spreading your risk and potential reward across multiple projects, or prospects as we call them. For example, our own diversification strategy has us currently positioned across the Gulf Coast, which includes two separate regions of the Permian Basin in West Texas and New Mexico, the Texas Panhandle’s Anadarko Basin, the East Texas Woodbine / Eaglebine, Central Oklahoma’s Cherokee Platform, and the Tuscaloosa Geological Trend in South Louisiana and Mississippi. At Aresco, we believe in being highly informed and, as an investor in oil and gas, you should be too. We invite you to contact us anytime with additional questions and to learn more about our activities.